Without the Caps Lock key, you can still type the letter you want to capitalize by holding down the Shift key. Pressing the Shift key once is much more efficient than pressing the Caps Lock key twice. If you don’t need to use the Caps Lock key, you can disable it permanently. 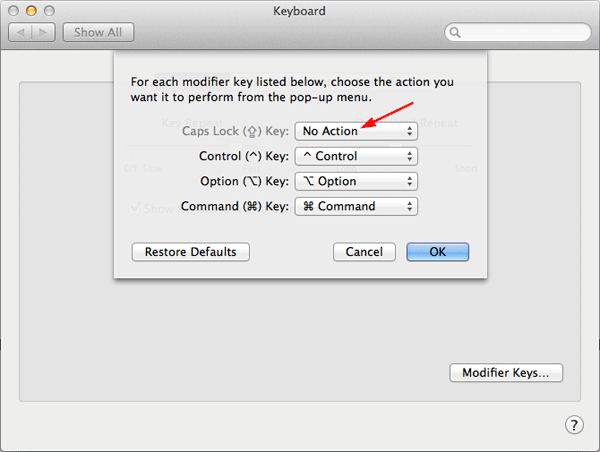 In this tutorial we’ll show you how to disable Caps Lock key in Windows 10/8/7/Vista/XP and Mac OS X. Press the Windows key + R to open the Run box. Type notepad and press Enter. Click the File menu and select Save as. Select “All Files” from the “Save as type” drop-down box. 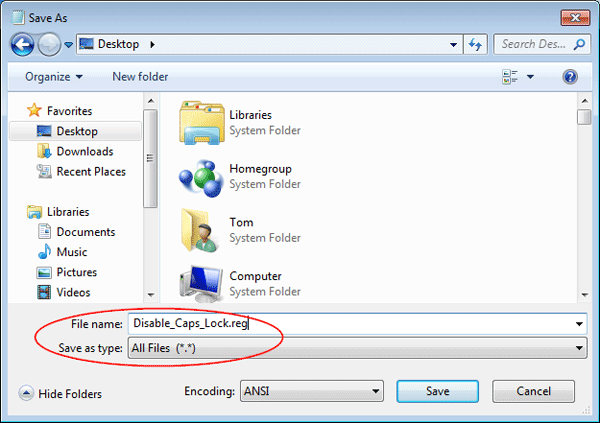 Type the file name as Disable_Caps_Lock.reg. Click Save. Double-click the .reg file, or right-click on it and select “Open with” -> “Registry Editor“. If prompted by UAC, click on Yes. Now log out (and back in) or reboot to make this registry trick to take effect. 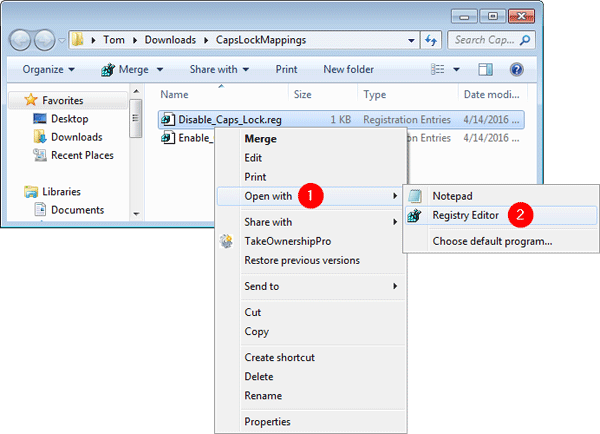 If you want to enable the Caps Lock key again, open the Registry Editor and navigate to HKEY_LOCAL_MACHINE\SYSTEM\CurrentControlSet\Control\Keyboard Layout, then delete the Scancode Map entry entirely. 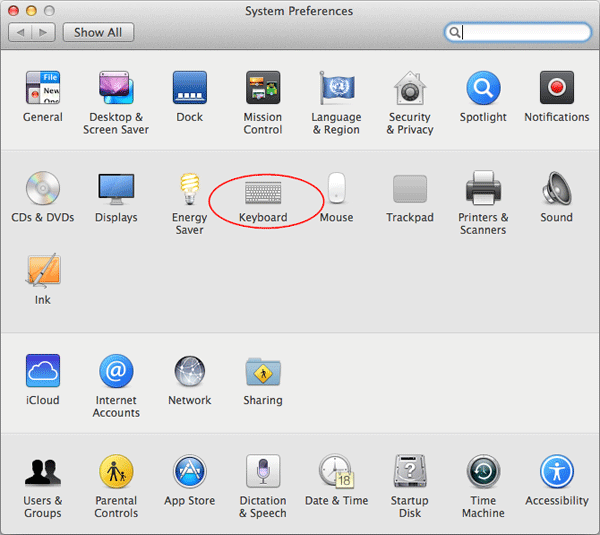 Click the Apple icon in the top-left corner of your desktop, then select System Preferences from the drop-down menu. 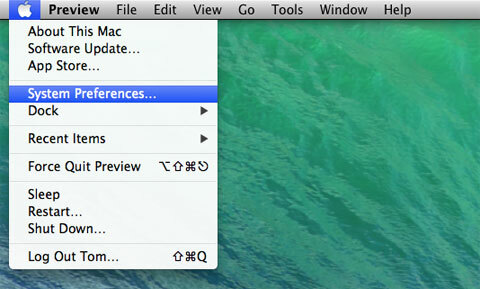 Click on the Keyboard icon to launch the preferences pane. 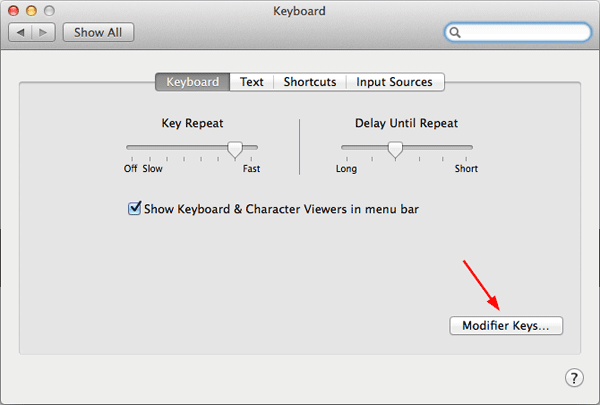 Click the Modifier Keys button in the bottom-right corner. A new window will slide down with a setting for the Caps Lock key at the top. click on the drop-down menu next to the Caps Lock Key title, and choose No Action. Click OK. Now, whenever you hit the Caps Lock key by mistake, nothing will happen.